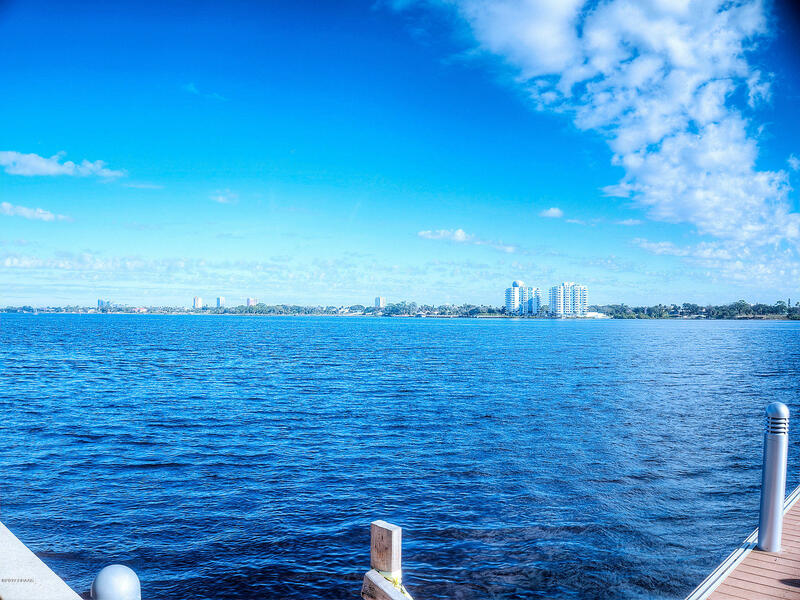 WELCOME TO MARINA GRANDE ON THE HALIFAX! 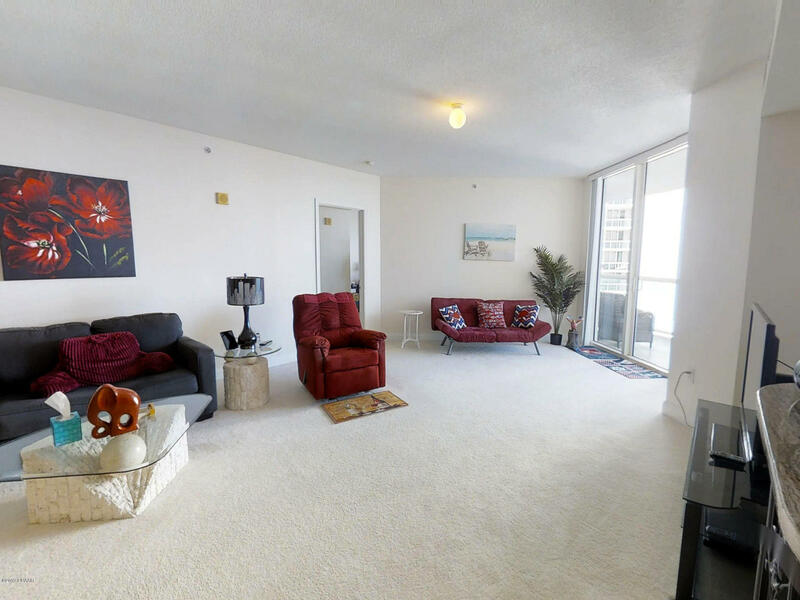 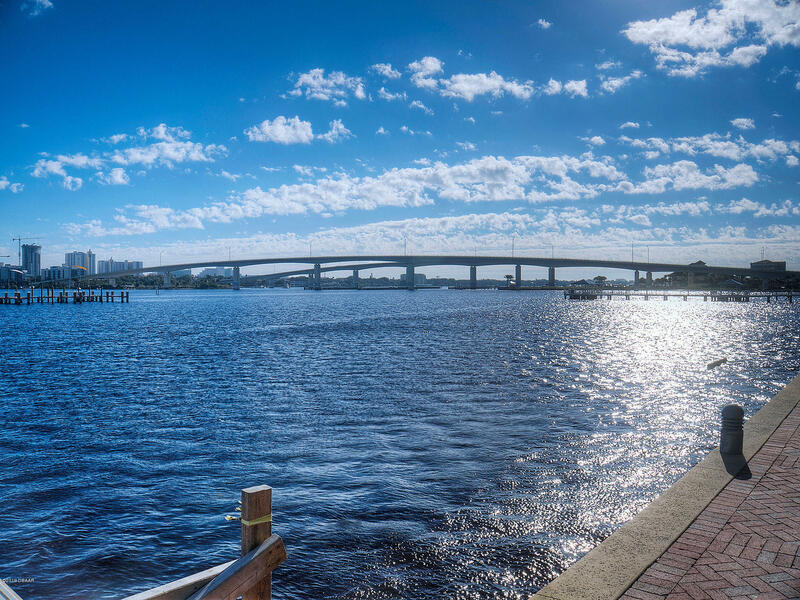 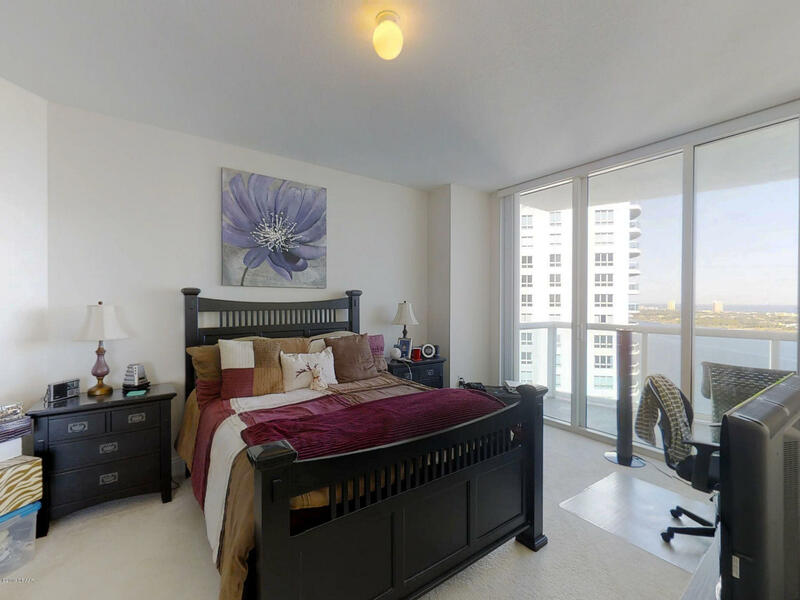 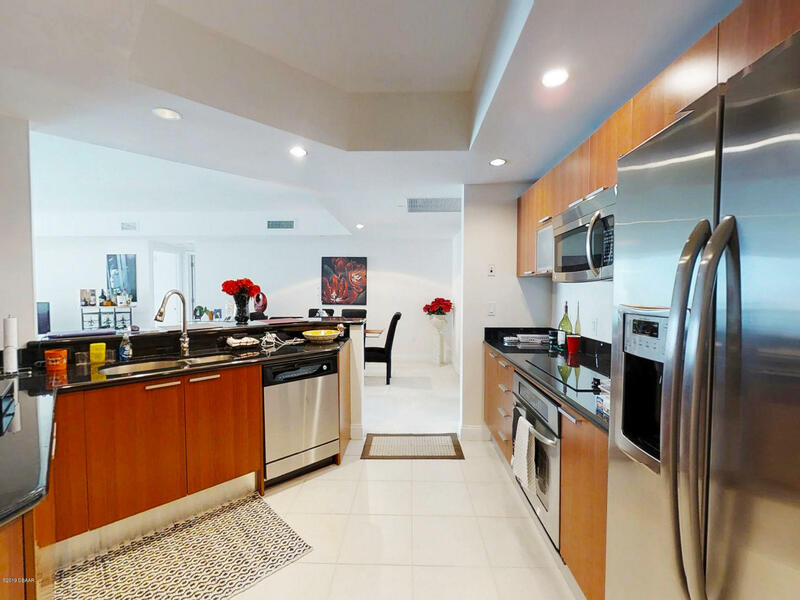 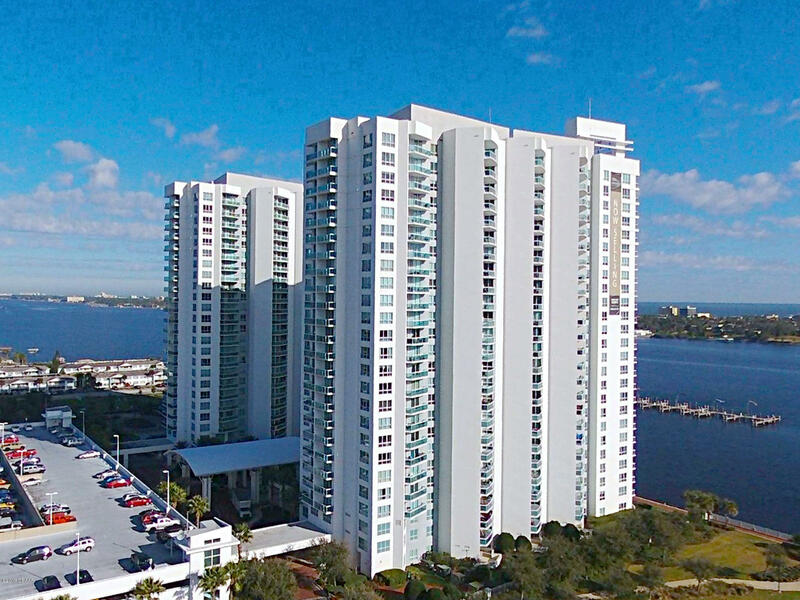 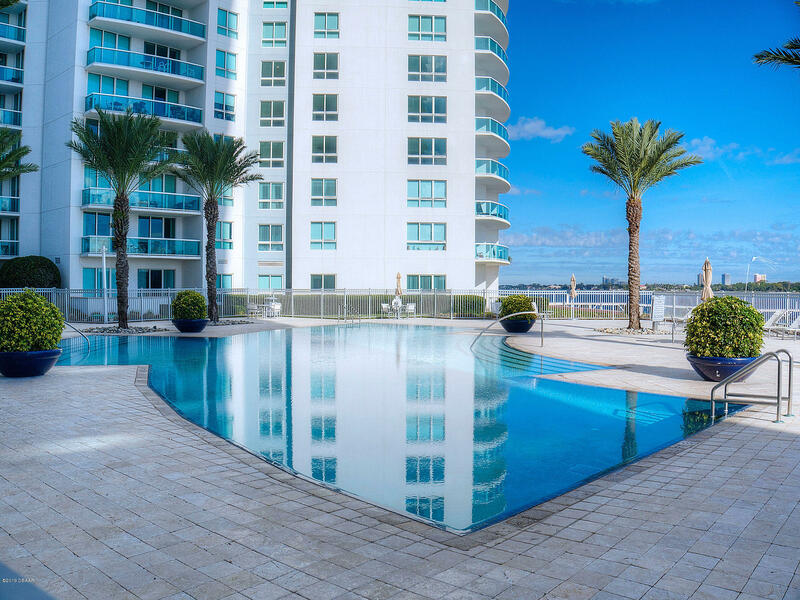 This beautiful two bedroom, two bath luxury condominium with MILLION DOLLAR VIEWS OF THE INTRACOASTAL & OCEAN FROM YOUR DUAL BALCONIES!!! 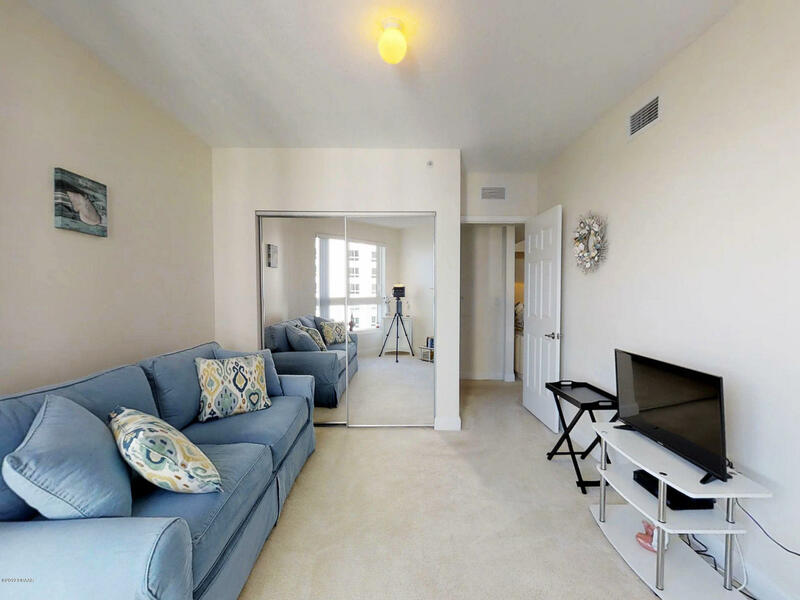 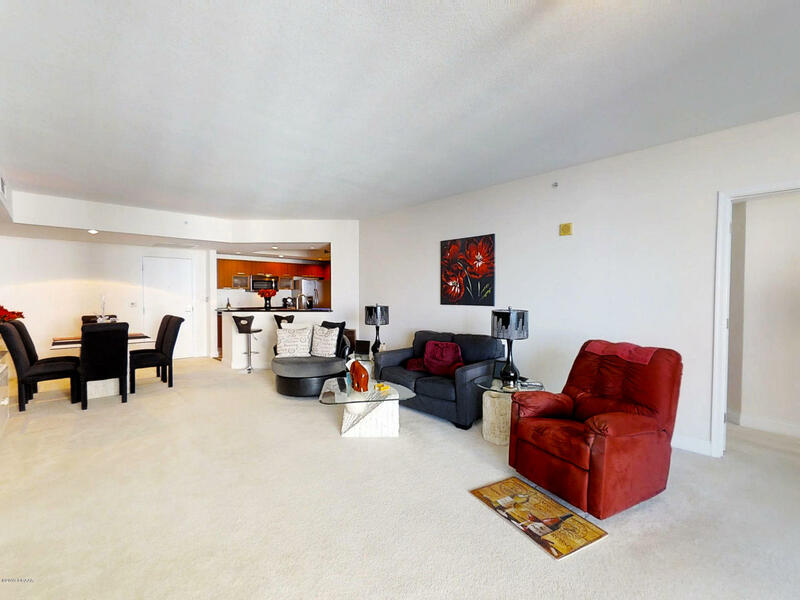 Granite counter tops and breakfast bar, stainless appliances, Italian cabinetry, large pantry, washer/dryer in unit. 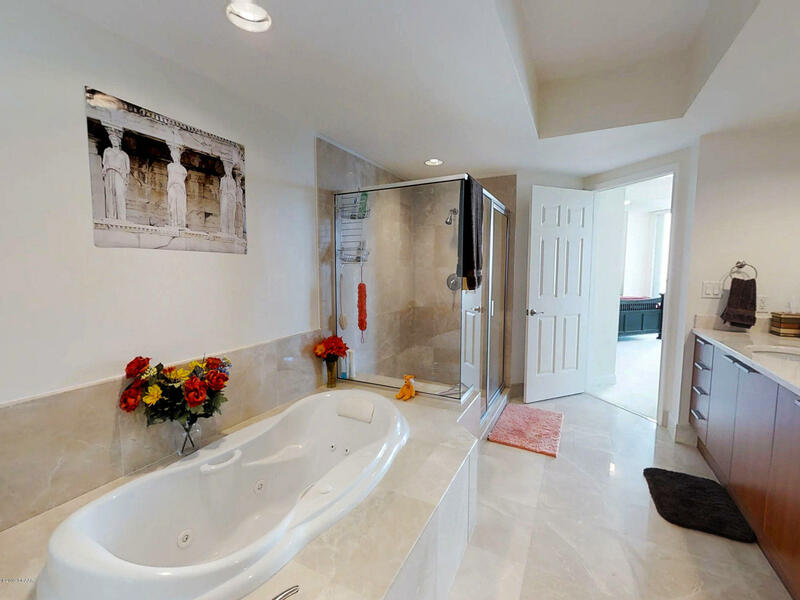 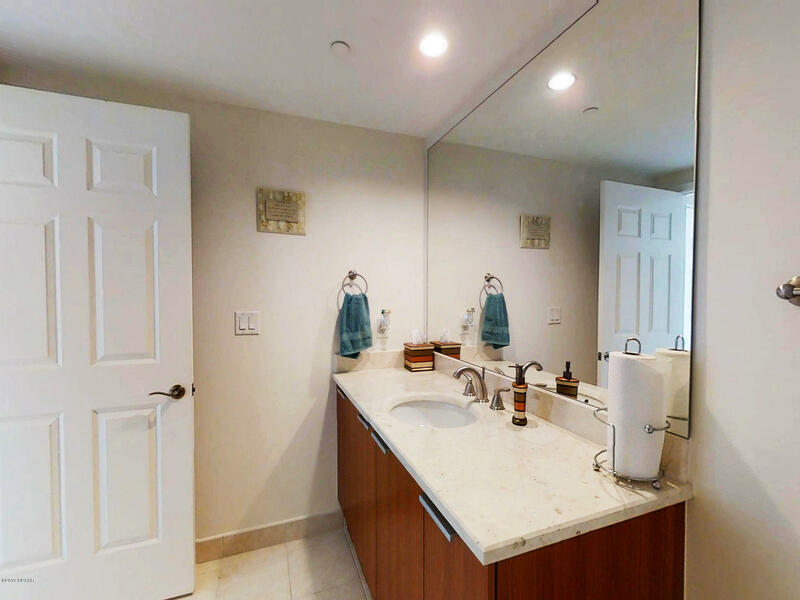 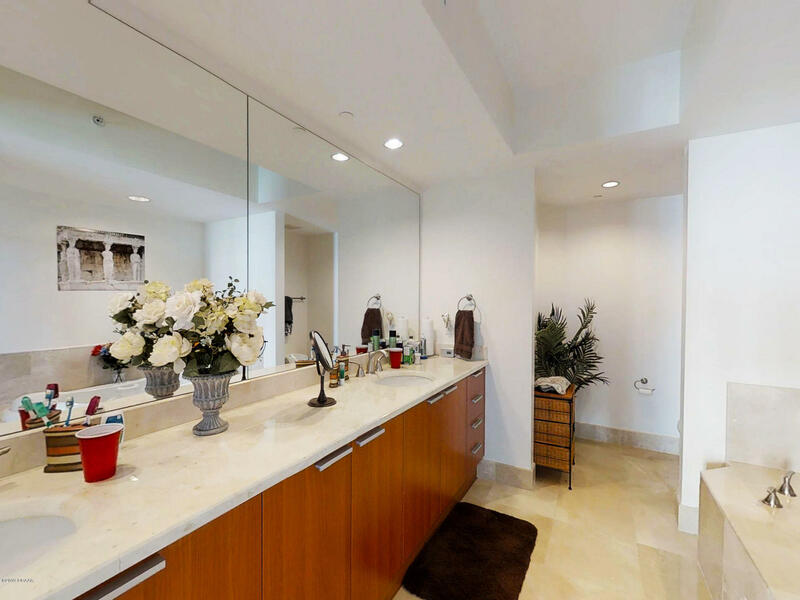 Master bedroom with spacious en suite, jetted tub, double sinks , and beautiful enclosed separate shower. 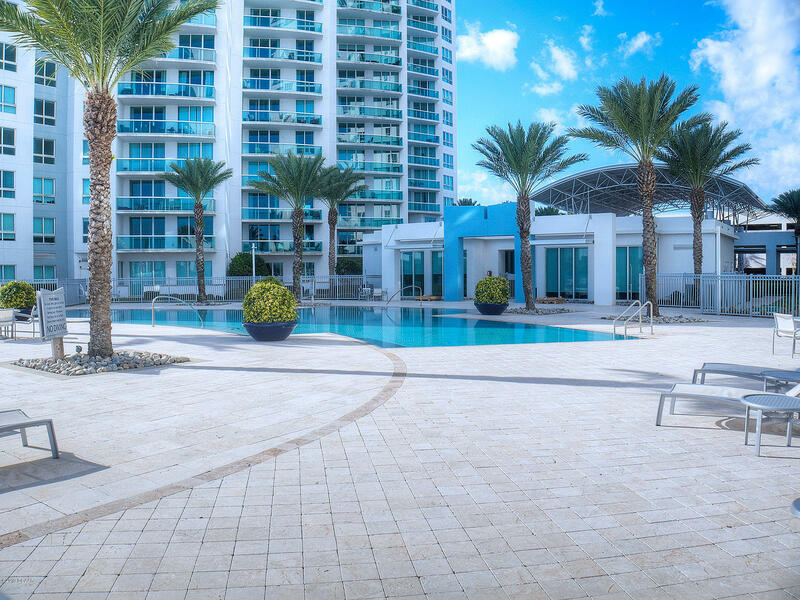 Live the resort life style with 24-hour guard gated community over 10,000 SF of amenities. 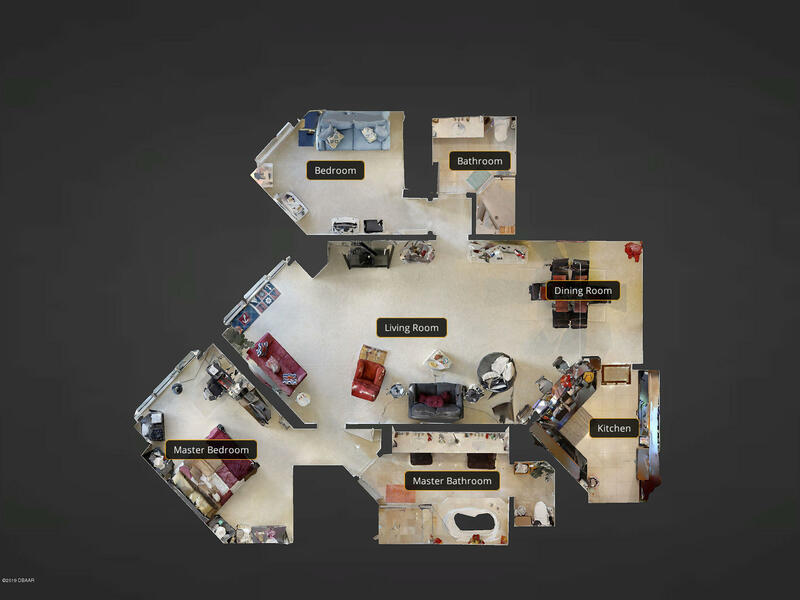 Movie theater, banquet room, fitness center, yoga/Pilates/dance studio, billiards room, game room, library, Wi-Fi throughout! 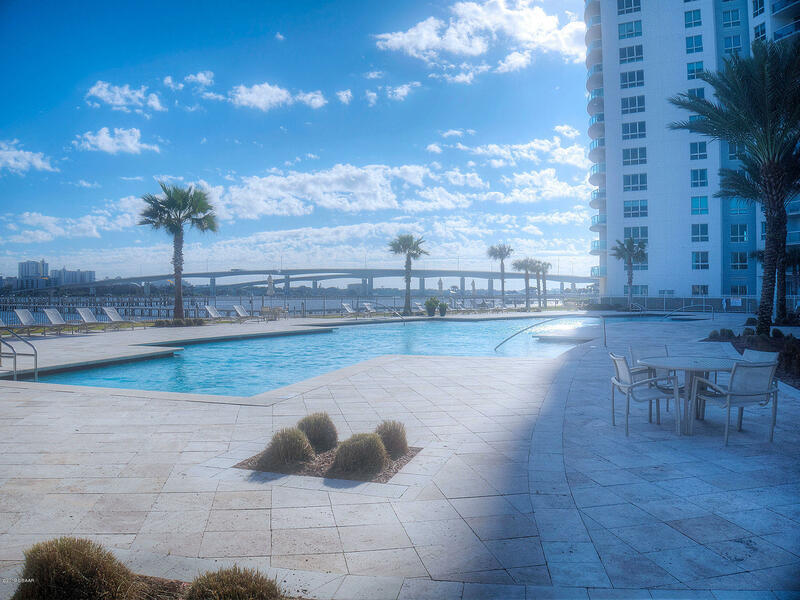 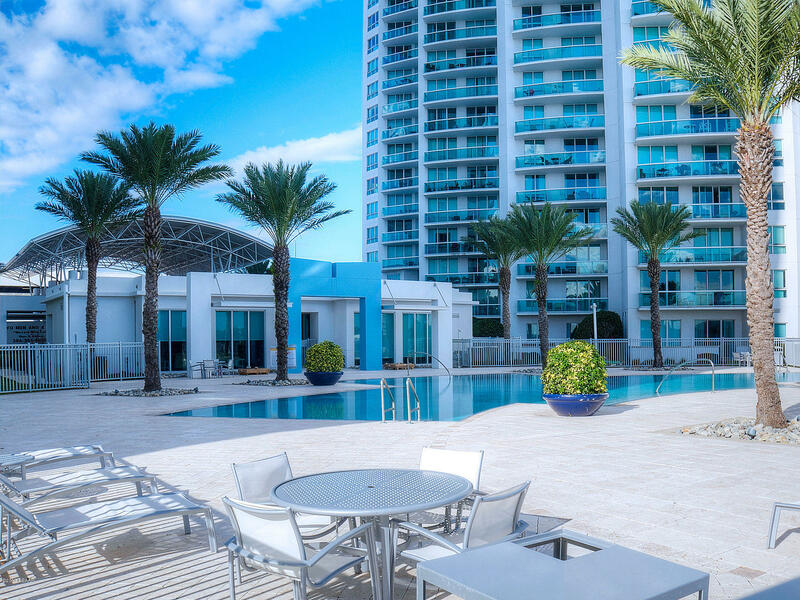 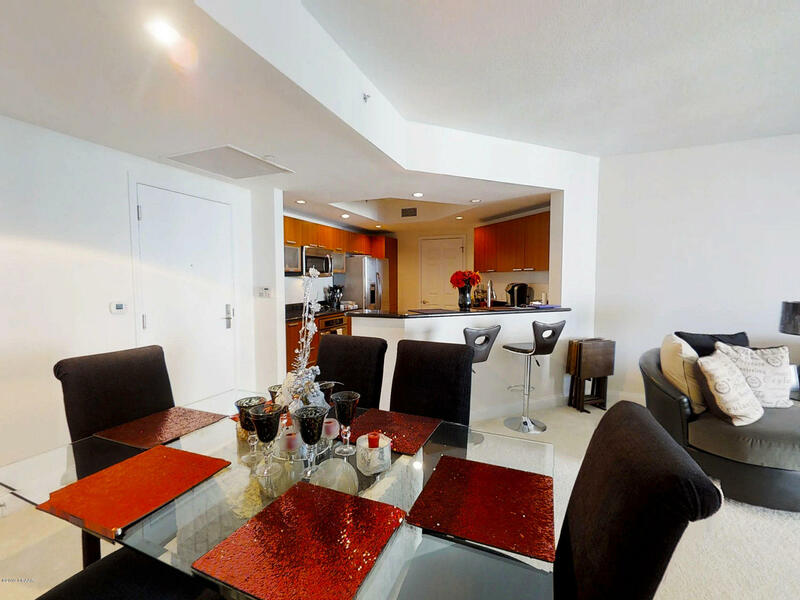 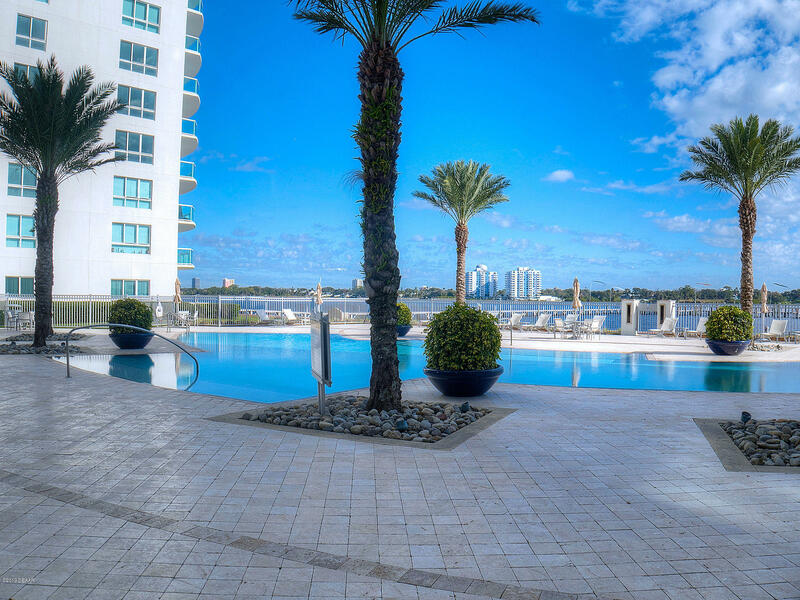 Enjoy the luxury living with 7 day concierge service, two pools, and new marina! 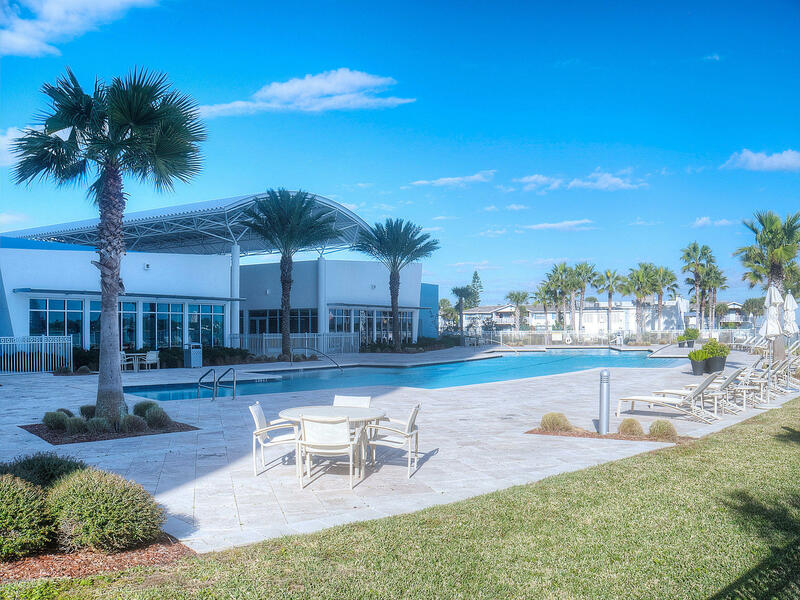 Close to Beach with easy access to interstates, speedway, & airports.